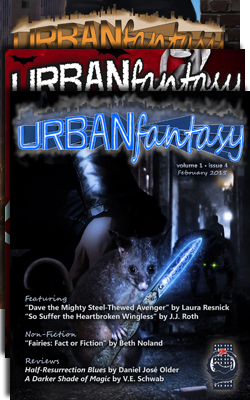 About the Magazine: Urban Fantasy Magazine is your premier source for Fantasy taking place in the city next door. 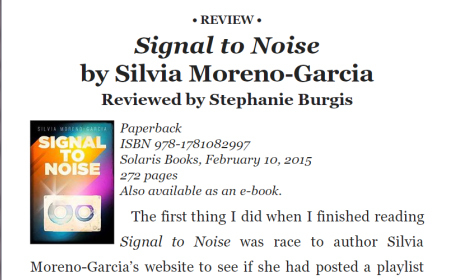 It features two new short stories per issue, along with book reviews and non-fiction articles. Design Requirement: Easy recognition of content types (editorials, fiction, reviews, non-fiction) and uncluttered presentation of small images (book covers, author photos). Effective use of font sizing and leading gives a clean and consistent header style for each piece, and setting a house style for image sizes allows them to be neatly aligned with the content in an unobtrusive way. You can read UFM online or subscribe for the e-book edition.